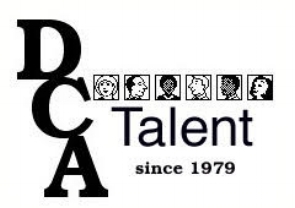 While much of the media appeared to have the wool pulled over their eyes in the Jussie Smollett story. The media is Chicago for the most part handled the story correctly. 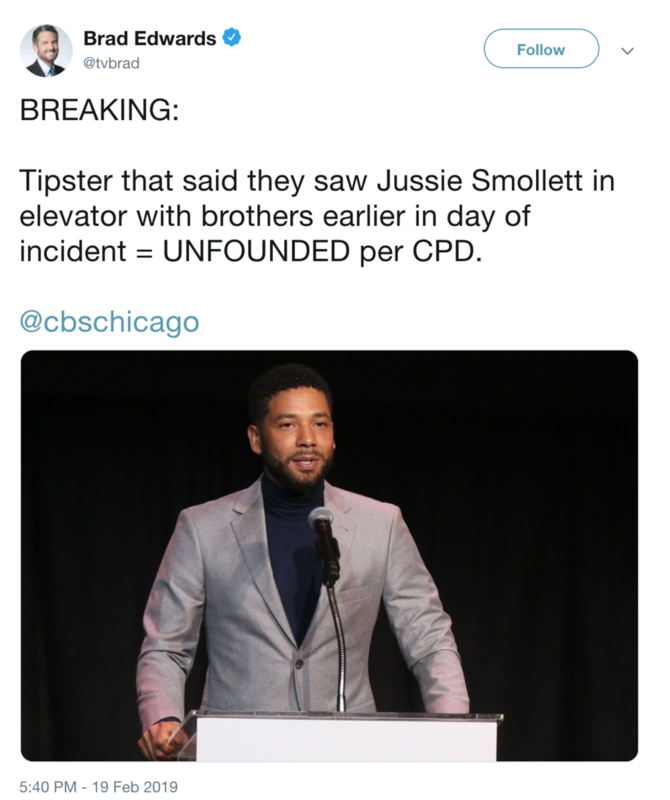 WLS was one of the first to report that Smollett was being looked at for staging the hate crime. But all the Chicago stations have been on the story and they saw red flags where outlets like CNN and others saw it as a change to advance their anti-Trump narrative. 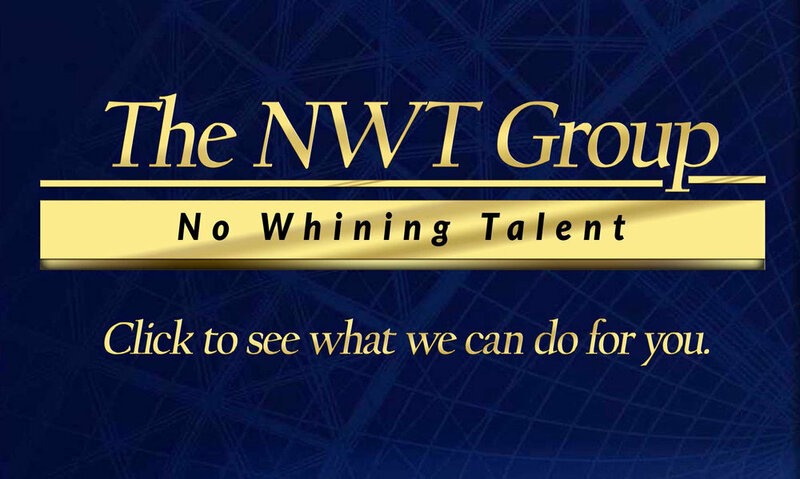 But some are wondering if some are piggybacking on the work of others. Some wonder if Weigel’s source was Edwards? 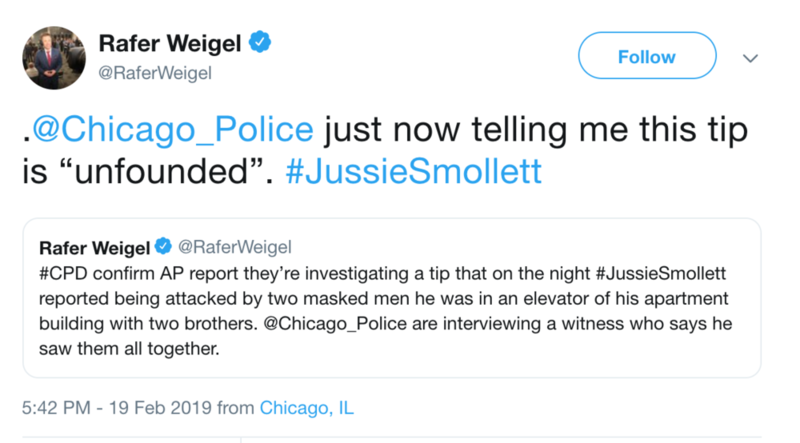 Other Chicago newsies claim that this wasn’t the only time that Weigel seemed to be just minutes behind on some details involving the Smollett case. Now, as every Journalist knows, the same source could be talking to different Reporters and giving them the same information. Maybe that is the case here. But enough people saw something that it made Weigel turn to defensive mode.